Excited to share our take on DWJ 2 in the Cooper-Young neighborhood of Memphis HERE! 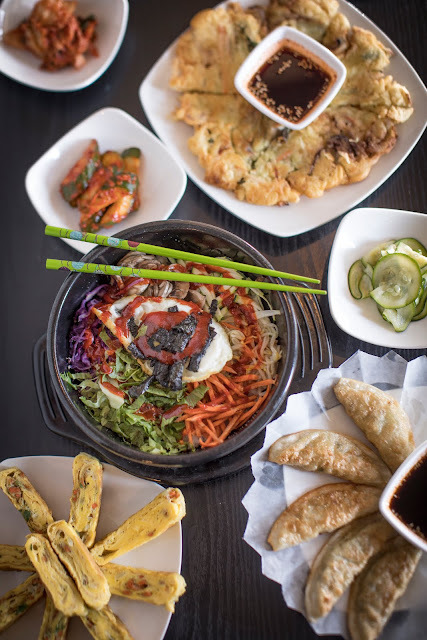 The two of us collaborated on the article for Memphis magazine last month and made a point to try some dishes that were new to us at one of our favorite new spots. We actually hadn't ever been to a Korean restaurant before, but we make kimchi, mushroom BBQ steamed buns, and bibimbap at home sometimes. Now we're inspired to try our hand at a few more things that we've liked at DWJ 2.